The inspiring adventure of the first non-stop round-the-world balloon flight in Breitling Orbiter 3 earned Bertrand Piccard the tag of «Inspioneer». Bertrand’s immediate forefathers were explorers and scientists who conquered the stratosphere and the ocean depths, so he seemed predestined to perpetuate one of the 20th Century’s greatest family sagas. 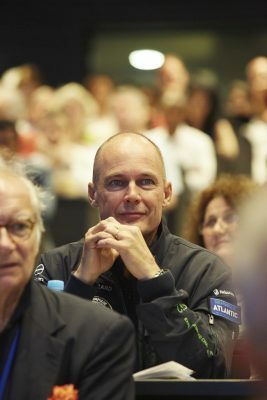 In his various roles – as doctor, psychiatrist, aviator, public speaker, president of the humanitarian foundation «Winds of Hope «, and United Nations Goodwill Ambassador – Bertrand Piccard seeks to combine his family’s scientific heritage with his own ambition to tackle great challenges of our time. 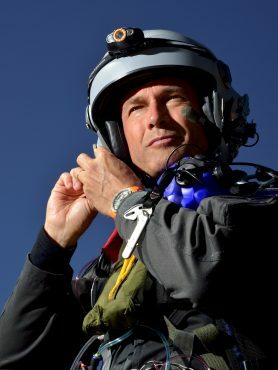 By initiating the Solar Impulse project and aiming to fly round the world in a solar airplane, he is seeking to promote technologies that help conserve our planet’s natural resources. As much an explorer of human values as of the external world, his motivations are the pioneering spirit and a drive to surpass personal limits, qualities which he communicates in his lectures, books and interviews.